A perfect holiday flower! Hope you are enjoying every day, including holidays! Gorgeous capture, Jose!! I do hope you're enjoying a beautiful holiday!! Gorgeous flower. Merry Christmas Jose! Mis mejores deseos para estas Navidades, para ti, tu familia y amigos. 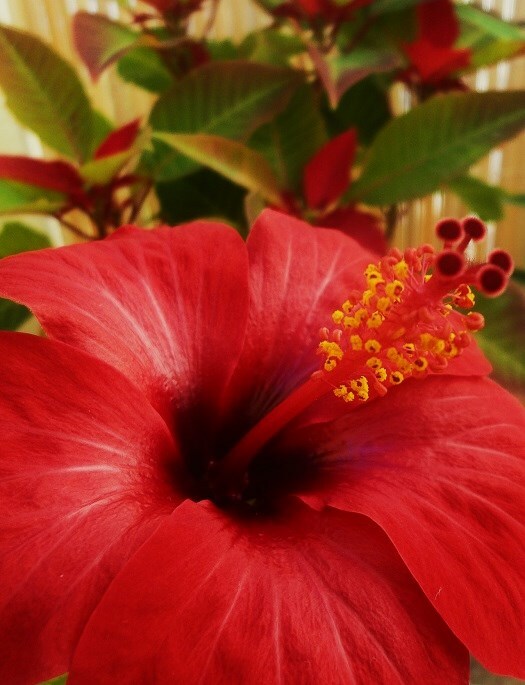 Hibiscus at Christmas! An incredible, velvety red. Happy Holidays, JM. It is a gorgeous vibrant red, JM! Merry Christmas.